The Cecilia Octet performed on Show 326 in Cleveland, OH, on June 7, 2016. 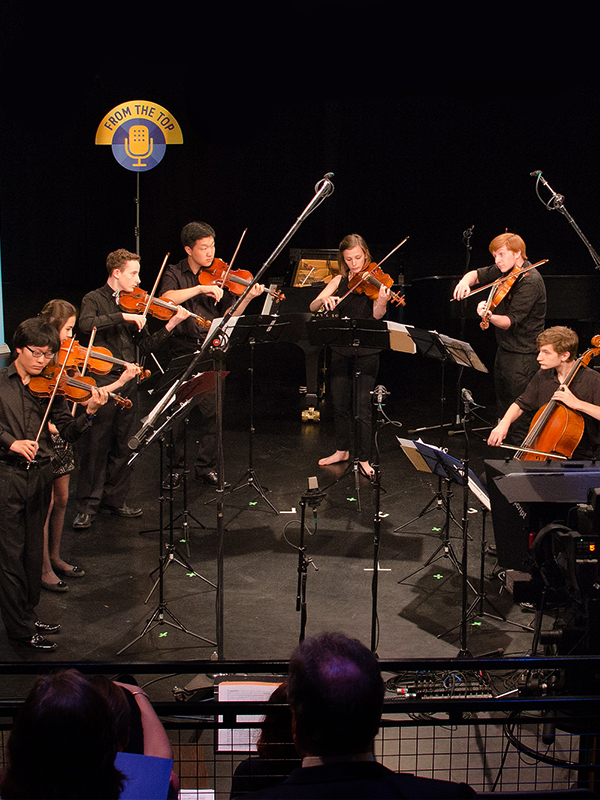 The Cecilia Octet is formed by members of the Cleveland Institute of Music Young Artist Program. Its members are violinists Jieming Tang (17), Wenlan Jackson (14), Phoenix Avalon (15), and Sean Lim (17); violists Claire Peyrebrune (16) and Sam Rosenthal (15); and cellists James Hettinga (16) and Matthew Fields (15). They are coached by Annie Fullard, the Director of Chamber Music at CIM Young Artist Program.